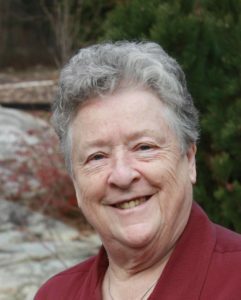 Patricia Kennedy: Shortlisted for the 2018 Community Impact Award. Seventy-four years young, Patricia Kennedy has dedicated her retirement to ensuring that families and individuals in rural communities across B.C. get the support they desperately need. After retiring from teaching in 2005, Patricia was hired by the Chilliwack School District to support students with special needs, including students with autism. Realizing that she needed to learn more about how to support these students, Patricia completed a 2-year online graduate degree in ABA, something in hindsight she wishes she’d done earlier in her teaching career. Several years later, Patricia went on to become a Level A RASP List Behaviour Consultant and started travelling and working across the province to support families from Merritt to Quesnel, and beyond. I’m 75 and really, I should be retired, but I will do this work as long as I can. In good conscience, I can’t stop until there is someone else to pick up the torch so that our smaller communities aren’t left behind. I believe in face-to-face intervention which means I spend a lot of time on the road serving more than 8 communities. I hear the frustrations of rural families. There just isn’t the support available to help them navigate the system and the resources, and there aren’t enough trained professionals to support their kids. We need to inspire local people to access education and serve their communities; it’s the only way to provide sustainable support. If you like children and like working with people, it’s a great career opportunity. Based in Kamloops, Patricia started the New Heights Autism Support Society which is a safe, warm and welcoming place for children with autism. She also founded the ‘Celebration of Families Day’ in Kamloops, which is an annual event that honors the caregivers of those with autism. Pat embodies all that is steady and true, her community describes her as wonderful, selfless, inspiring, and a giver of hope. Pat shows all of us that age is just a number and that anything is possible if you try. Pat is excellent. Do you know someone excellent like Patricia?